The journey from lowly squire to honorable knight may be difficult, and at times painfully slow, but noble ambition urges you on. The LARP Knightly Sword serves you well, aiding the task of perfecting your natural fighting skills. From the double-edged blade, the wide crossguard, to the golden pommel, this medieval arming sword features hand painted detail. Be impressed by the stunning Woodgrain and silver accents on the hilt. Crafted from closed cell foam around a solid fiberglass core, this LARP weapon is finished with a strong latex coating. 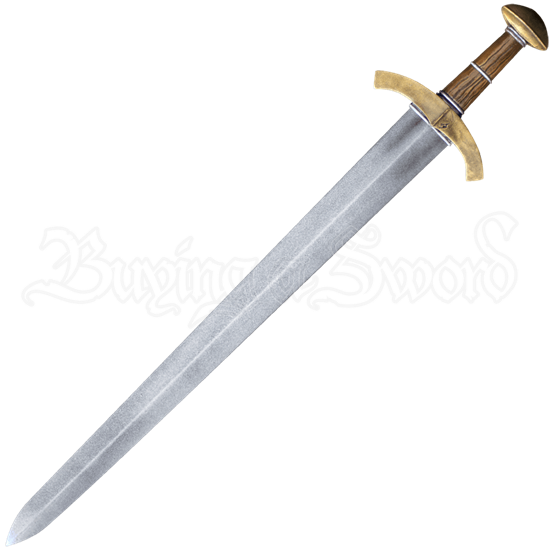 The squire is certain to earn the title of knight with this trusted knightly sword to guide the way. 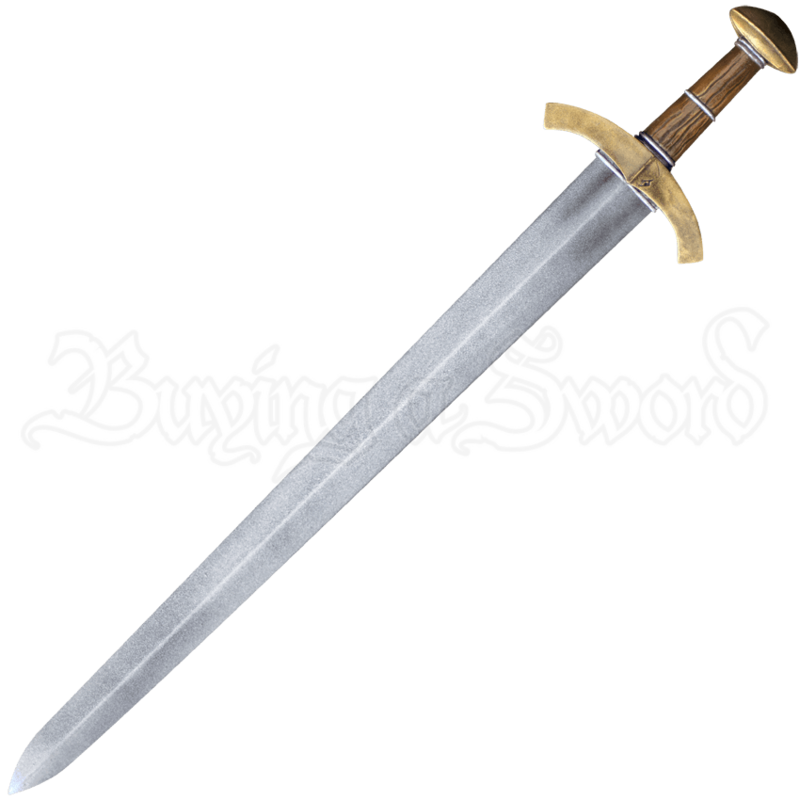 The arming sword is approximately 33.5 Inches in overall length. This measurement will vary as each LARP sword is a handmade item.